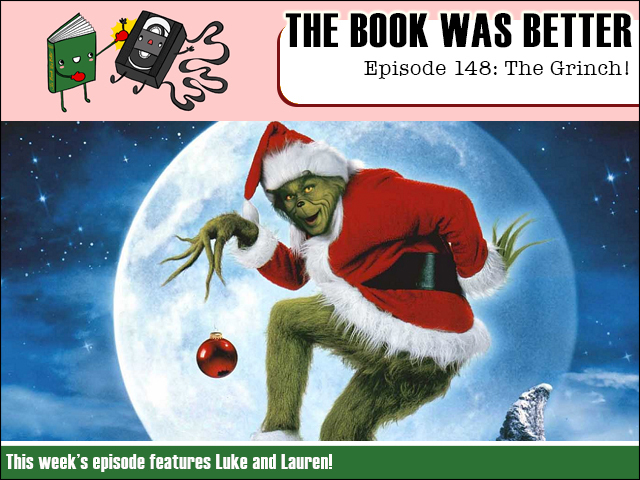 This week we continue our jaunt down Santa Claus Lane as we read the flimsy novelization of green-hairy-Carrey Christmas-stealing movie: The Grinch! How did the Grinch steal Christmas you ask? Helping me solve this incredibly anti-climactic puzzle is none other than festive expert (and actual American) guest host Lauren! Warm up your sugar plums! I'm reaching into your stockings! FPcast for December 7 2015: The Good Dinosaur!